Add a Griddle to your Grill. No Electric Complications! Grill your bacon? Grill a pancake? Impossible is nothing! Add this grill accessory to your grill and it becomes a reality. 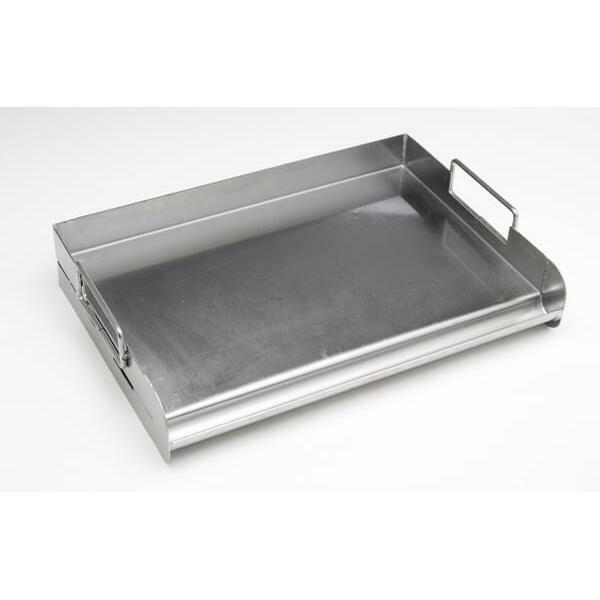 The Stainless Steel Barbecue Griddle by Bull Grill sits atop your grill grate and uses the heat from your activated grill to become a fully functional griddle. 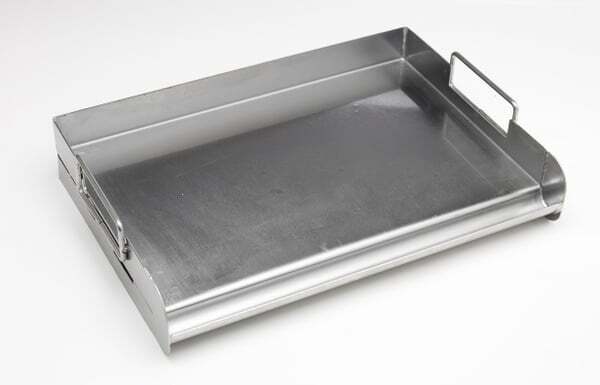 This accessory features a smooth griddle cooking surface, easy-grip handles, a rear edge for spatulas and a front reservoir that catches grease.